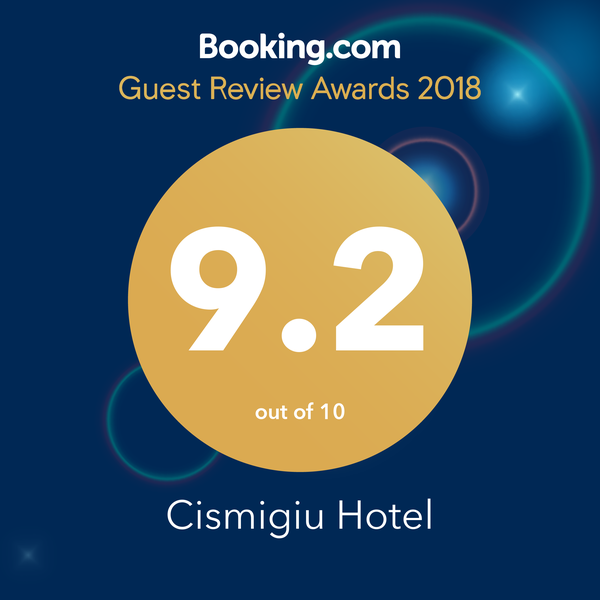 Respect for the right to protection of personal data as well as the right to privacy is one of the fundamental missions of Hercesa Cismigiu SRL, owner of Hotel Cismigiu, and of Hercesa Vivenda SRL, the management company of Hotel Cismigiu. We therefore take all necessary steps to process your personal data in accordance with the principles established by the applicable data protection legislation in Romania, including Regulation (EU) 2016/679 of the European Parliament and of the Council of April 27, 2016 on the protection of natural persons with regard to the processing of personal data and on the free movement of such data and repealing Directive 95/46 / EC ( "GDPR"). Personal data means any information relating to an identified or identifiable natural person ( "data subject"); an identifiable natural person is a person who can be identified, directly or indirectly, in particular by reference to an identifier, such as a name, an identification number, location data, an online identifier, or one or more factors specific to his physical, physiological, genetic, mental, economic, cultural or social identity. The processing of personal data is done by the two joint operators: Hercesa Cismigiu SRL headquartered in 1 Baia de Arama Street, Chamber 2, 2nd District, Bucharest, registered under no. J40/8016/2009 at the Trade Registry, having Tax ID Code RO25787821 and Hercesa Vivenda SRL, headquartered in 1 Baia de Arama Street, Chamber 1, 2nd District, Bucharest, registered under no. J40/11030/2008 at the Trade Register, having Tax ID Code RO24093414. Also, surveillance cameras and other security measures on our properties can capture or record images of guests in public places (such as hotel entrances, restaurants or hallways/lobbies), as well as your location data (through the images captured by the surveillance cameras). You can always choose what personal data you provide us. However, if you choose not to provide certain personal data, if the basis for our processing is the compliance with a legal obligation, contractual obligation or obligations to conclude a contract, we will be unable to provide you with certain services, for example: (i) if you do not want to disclose your full name, e-mail address and/or telephone number when making a reservation, we will not be able to make the reservation, or (ii) given that in the registration form which you are required to fill in on arrival you will need to provide some mandatory personal data, should you choose not to fill in those mandatory fields, we will not be able to accommodate you. We collect the information sent through your resume and any other information submitted with your resume and / or provided during the interviews in which you participated..
We collect your name, surname, and your ID card’s series and number. Surveillance cameras can also capture or record images of visitors in public places (such as the entries in the hotel or in restaurants or lounges). No personal data is required to read the information on the websites. However, for the technical operation of the portal, we collect the time and date when the website was accessed and the IP address that accessed it. Some personal data is required for the use of some services (such as online bookings, job applications). For details, please refer to the sections corresponding to the operation done on the website. We collect your name, surname, position, and any other data provided by you or the company that you represent. We protect the confidentiality of personal data of children under 16. In case you are under the age of 16, you must obtain the consent or permission of your parent or guardian for any personal data you provide. The term "special categories of personal data" refers to racial or ethnic origin, political opinions, religious or philosophical beliefs or trade union membership, and the processing of genetic data, biometric data, data on health or data on sexual life or sexual orientation. Generally, we do not collect sensitive information unless you want to disclose it. We can use the health data you provide to better serve and meet your special needs (e.g., to prepare food without specific ingredients to which you are allergic, to provide easy access to people with disabilities). Hotel and restaurant reservations, or requests for offers sent by you for certain organized events or events that can be organized. Purpose: we process your personal data for your registration / accommodation in our hotel. Basis: Upon check in, according to the legal provisions in force, you are required to fill in a guest registration form containing the minimum data necessary to us to be able to accommodate you. Purpose: We process your personal data to provide you with a pleasant experience in accordance to your standards and the hotel’s standards. Purpose: we process your personal data to ensure that you have had a pleasant experience in our units. Basis: our legitimate interests to constantly improve the services we offer and to provide services which are appropriate and in accordance with the standards of our customers. If necessary, in accordance with the applicable law, we will obtain your consent before processing your personal data for direct marketing purposes. In this case, we hereby notify you that you may at any time withdraw your consent to a processing for marketing purposes, in which case you will not receive any marketing communications from us. We will include an unsubscribe link, which you can use if you do not want to receive any more messages from us. Purpose: these communications are made for a specific reason such as: (i) to respond to your requests, (ii) if you have not completed an online reservation or a request for an offer, we may send you an e-mail to remind you to complete the process, (iii) to inform you about the manner in which complaints and / or incidents which may have occurred during your stay have been resolved. Basis: our legitimate interests to provide services at the desired standard by addressing any claims / complaints and to ensure our full availability. Purpose: To ensure a constant qualitative development of our services, we carefully analyse each complaint / suggestion from you so that we can compile statistical reports to identify problems and find the best solutions to remedy them. Basis: We rely on our legitimate interest to provide services which meet your and Hotel Cismigiu’s standards. Purpose: We process your personal data for the protection of people and goods within our hotel. Basis: Our legitimate interest to ensure both the protection of the persons in the hotel and of the property of the clients/ staff / hotel. Basis: We base this data processing activity on our legitimate interest, namely to constantly improve our website and provide you with a fully functional website by fixing any errors. Purpose: Conducting contractual relations with suppliers and business partners. Purpose: Assessing your application for employment. Basis: The conclusion of a contract. Purpose: We process your information for the abovementioned operations. However, we asssure you that this possible processing will be carried out in accordance with this policy and by implementing measures in order to ensure the confidentiality of your data. Purpose: We process personal data for the security of goods and the physical integrity of persons. Basis: we rely on our legitimate interests to protect your property and the hotel’s as well as to protect the persons in our hotel. Purpose: In some cases, we must process information which may include personal data in order to resolve legal disputes or complaints as well as investigations and to comply with the applicable legal regulations, to implement an agreement or in order to comply with requests from public bodies to the extent that these requests meet the legal requirements. Basis: The reasons for the processing may be represented by a legal obligation (where we are legally required to disclose certain personal data to public authorities) or by our legitimate interest to resolve potential disputes and / or complaints. Providers: in order to provide the requested services, in some cases we will need to pass some of your personal data to the providers, and they have the capacity of processor and process the data in our name and behalf and in accordance with our instructions (e.g., software, IT, accounting services, medical services providers). Group events or meetings: If you visit our hotels within a group or a conference, the information required for the planning of the meeting and event may be shared with the organizers of these meetings and events and, where appropriate, with the guests who organize or participate in the meeting or event. Business partners: In some cases, we associate with other companies to provide you with products, services or offers. For example, we can arrange for you to hire a car or we can intermediate optional pastry services and kitchen products that exceed our offer. Authorities and / or public institutions: (i) to comply with legal provisions, (ii) to respond to their requests, (iii) for reasons of public interest (e.g. national security). For example, according to the rules set out in Section "For what purpose and on what basis is your personal data processed" letter b) any hotel unit is obligated to send each client’s registration form to the competent authorities. Your privacy is important to us, which is why, where possible, the transmission of personal data in accordance with the above shall be done only pursuant to a confidentiality agreement from the recipients in order to ensure that this data is kept safe and that such information is provided in accordance with applicable laws and applicable policies. In any case, we will always send to the recipients only the information strictly necessary for achieving that purpose. Business partners: such as card parteners, social networking services that are consistent with your own settings for these services, travel agencies, event organizers. In any case, we ensure that your data collected from third parties will be processed under the same conditions as if it were collected directly from you. We will also collect only what is necessary for our purposes. (see Section “ For what purpose and on what basis is your personal data processed”). In addition, when we first contact you, we will firstly let you know the source from which we obtained your personal data. We may transfer your data to our service providers and other third parties that may be based in countries other than the one you reside in, and in some cases in countries outside the EU / EEA. Although data protection laws in these countries may be different from those in our country, we will take the necessary steps to ensure that your personal data is processed in accordance with this policy and in accordance with applicable law. Your personal data is retained for the full duration of the purposes detailed in this Policy, if a longer period of retention is not required or permitted by the applicable law. We constantly review the need to keep your personal data, and to the extent that processing is no longer required and there is no obligation under the law to keep your personal data, we will delete / destroy your personal information as soon as possible and in such a way as to prevent subsequent recovery or reconstitution (e.g., we will delete / destroy all data of persons not hired after having been interviewed, unless there is a serious prospect of future employment). Right to object: In certain circumstances (such as the processing that has a legitimate interest as legal basis), you may request that we no longer process your data (Article 21 of the GDPR). If we process your personal data based on your consent, you may withdraw this consent. If we process your personal data based on your consent, you may withdraw this consent at any time. In this case, your data will no longer be processed by us, unless a legal provision forces us to keep and archive it. In any case, we will inform you if there is such a legal requirement and we will indicate it expressly . We take your personal data security seriously, which is why we have implemented important security measures necessary to protect against unauthorized access to data or unauthorized modification, disclosure or destruction. This requires an internal review of the data collection, storage and processing practices and of the security measures, as well as physical security measures to protect against unauthorized access to systems where we store personal data. We also require our service providers and business partners to take all necessary steps to protect against unauthorized access to data or unauthorized modification, disclosure or destruction. Our website contains links to third party sites. Please note that we do not take responsibility for the collection, use, storage, sharing or disclosure of data or information by such third parties. If you use or provide information on third-party websites, the terms and privacy policies of those sites apply. We encourage you to read the privacy policies of the websites you visit before submitting any personal information. If you have any questions or concerns regarding the processing of your personal data or if you wish to exercise any of the abovementioned rights, you are welcome to contact us using our contact form available on the website or by sending us an e-mail at the following address: [email protected], and we will reply within 30 days of the receipt of the request. Also, to the extent that you do not have electronic means or do not want to use them, you can submit a written request at our registered office in 1 Baia de Arama Street, Chamber 2, 2nd District, Bucharest. To the extent that you are not satisfied with the manner in which your request has been resolved, you may file a complaint with the National Supervisory Authority for Personal Data Processing. To help you track the most important changes, we will include a history of the changes below to help you identify the changes to this Policy.